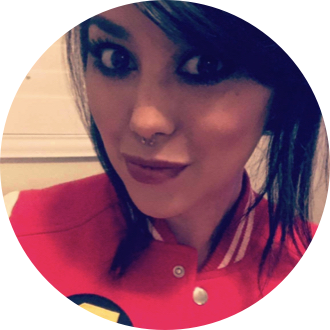 Read Ashley's review of Upgrade. GREY TRACE, a technophobe in a utopian near-future when computers control nearly everything - from cars to crime-surveillance - is paralyzed in a freak mugging that leaves his wife dead. But when a billionaire technologist offers him an experimental paralysis cure - an implanted computer chip called STEM - Grey finds that the chip has a voice and a mind of its own. Together Grey and STEM embark on a mission to avenge his wife's death. 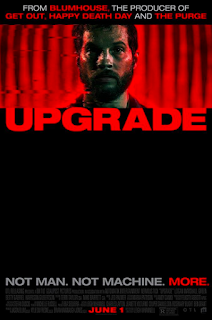 UPGRADE is in theaters on June 1st, 2018. 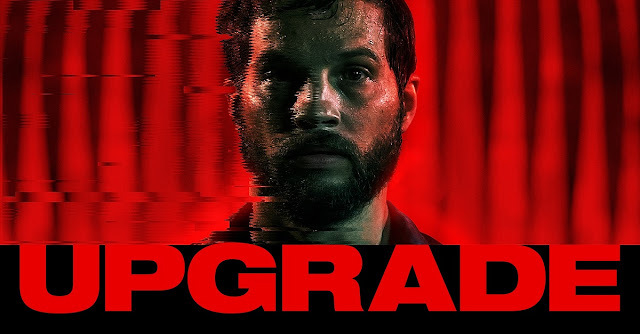 Upgrade is a Sci-Fi action film starring Logan Marshall-Green as Grey Trace. He survives a brutal mugging that leaves him as a quadriplegic. He makes a decision to become implanted with a microchip called STEM, it gives him the ability to walk again and also super strength and speed! Once he gets the hang of using the microchip he starts to seek revenge against the men who mugged him. This movie was a nice surprise! Very original story, it was really refreshing to see a twist on an action film. It definitely keeps you on your toes about what’s happening next. The scenes where STEM takes over and uses super strength can be a little unsettling on the stomach, the scenes move so fast it gave me a bit of motion sickness. All in all this film was great, I was expecting it to be super gory since it’s a Leigh Whannell film (Saw, Insidious) but the scenes where people did die - they didn’t linger, it was like ok that happened moving on. This is a pretty solid movie, I think you’ll enjoy it if you like Sci-Fi and/or action films.